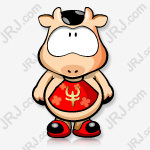 After the reunification, Vientiane was updated, and the Chinese securities market also ushered in the Year of the Pig. In the new year, how will the macro economy evolve, and what kind of strategy should be adopted for the allocation of large-scale assets... Tomorrow is the first day of the start of the new spring, and the Securities Times launched the topic of “The Chief of the Year of the Investment Strategy for Pig Years”, inviting 10 domestic companies. The chief economists of securities companies share their research findings and wisdom. The past year is undoubtedly a year full of challenges and turbulence. For the majority of investors, we are full of expectations at the beginning, the storms of the marching, the black swan flashes from time to time, and the event-type risk continues. We have experienced ups and downs, and we have learned to be patient and persistent. Forty years have passed since the reform and opening up. Over the past four decades, the Chinese people have become angry and invincible, writing a magnificent epic of the country and the nation. Today, 40 years later, as the witnesses and witnesses of the great reform achievements, we uphold the initial intentions and carry forward the past and work together to contribute ideas and contribute to the development of the country. If the dividends released by the past reform and opening up have led to high economic growth as an "offensive", then today's economic growth rate can be understood as "defense." The offensive process deviates from the mean and the defensive process is actually the return to the mean. In 2019, the economic growth rate should continue to fall, but it is necessary to prevent the risk of excessive fall, which leads to risks. Therefore, it is necessary to stabilize employment, stabilize foreign trade, stabilize finance, stabilize investment, stabilize foreign investment, and stabilize expectations. Therefore, the understanding of the 2019 policy is actually two: steady progress, bottom line thinking, the former is to achieve economic rebalancing: real estate investment declines in infrastructure, external demand is insufficient to compensate, and the latter means economic downturn If you have a bottom, you will be strictly guarded when necessary. So, is it sure to be able to keep it? Then look at the number of tools in the policy toolbox, there should be a lot, such as the space for the RRR is not small, the central government's leverage is only about 20%, considering the potential factors of policy easing, then the 2019 GDP The growth rate can still be maintained at more than 6%. If the economy has a bottom, then the capital market should have a bottom. After all, under the pattern of slowing economic growth, worry-free inflation, and looming looming, there is still room for interest rate cuts, which is conducive to the bond market; the stock market has a larger decline in 2018. It has the power to return to the mean. In the context of policy stability, the stock market should have a bottom. The 2019 Spring Festival, I wish you all auspicious Year of the Pig, congratulations and fortune! First, before the end of February, the Sino-US trade negotiations achieved initial results. Both China and the US are facing uncertainties in slowing down. The two sides are willing to reach a phased agreement. Relatively uncertain is whether the US is willing to negotiate in stages to avoid a stalemate due to a package of negotiations. A phased agreement is reached. Sino-US trade friction will not continue to deteriorate in the short term, and there may even be a mitigation possibility that tariffs will no longer be imposed and it is even possible to cancel some of the punitive tariffs already implemented. Second, the "two sessions" in March this year are expected to reveal the largest tax cuts and reductions since the reform and opening up. Now the market generally expects that the tax rate of major taxes will be substantially reduced. The overall tax reduction this year is between 10,000 and 1.5 trillion yuan. In the post-stimulus era of poor monetary policy transmission mechanism, the importance of reducing institutional and transaction costs is far better than reducing capital costs. Fiscal policy is a priority and one of the landmark measures for structural reform. Third, before the end of the first quarter of this year, the Fed’s expectation of stopping interest rate hikes will gradually become clearer. Recently, Federal Reserve Chairman Powell admitted that the Federal Open Market Committee is assessing the timing of ending the contraction, which may indicate that the probability of the Fed not raising interest rates in the first quarter is further increased. If the Fed ends the current round of interest rate hikes, or causes the US dollar to weaken, the pressure on the RMB depreciation will be greatly eased, and the overall market will benefit the emerging market. In 2018, under the overlapping of internal and external factors, China's economic growth has generally stabilized and slowed down. The characteristics of the global economic recovery process have become more prominent, and financial market volatility has become stronger. The risk-to-price ratio of China's equity market has weakened, and the marginal investment income has dropped significantly. Trading in the major markets has been sluggish, valuations are at a low level, and investor risk appetite is generally low, with little confidence in future market prospects. At the same time, under the economic downturn and policy easing expectations, the bond market gradually established a bull market dominated by the risk-free interest rate down logic. 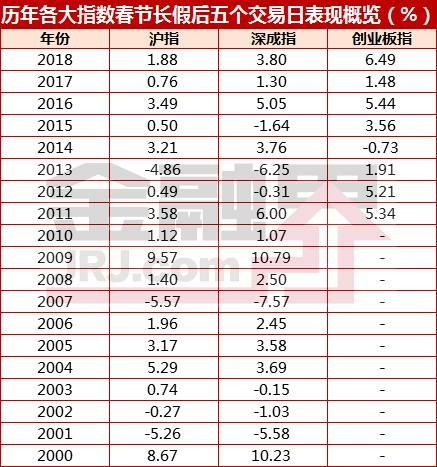 Looking forward to 2019, the Chinese economy has further downward pressure. The supply-side structural reform dividend with the elemental resource allocation marketization as the core and the counter-cyclical adjustment policy aimed at supporting the economy in the short-term can be further released, which can hedge some of the downward pressure on the economy. It is expected that the short-term downward pressure on the economy will be controlled in the third quarter of 2019, and the economic growth rate is expected to gradually stabilize and short-term bottom. There is still room for downside on the current risk-free rate. The orderly and stable development of the future economy depends on actively constructing a more efficient multi-level modern capital market based on credit and legal system. By improving the proportion of market-based allocation of factor resources, the market effective mechanism for asset price discovery is fully improved. Promote effective investment and financing activities in the real economy to promote the actual improvement of the performance of the real economy. With the further development of the legal system construction and institutional reform of the capital market, China will usher in a capital market with long-term winners. 2018 is the most complicated year in recent years. When China is dealing with the aftermath of the extensive growth model, the international situation is changing. Many deep-seated contradictions entered an outbreak period, and private enterprises encountered great difficulties. 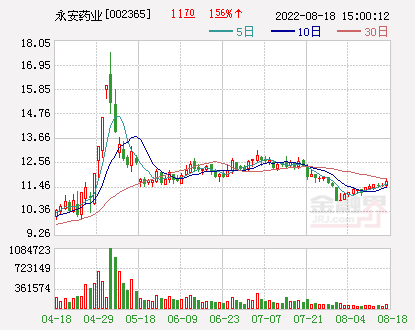 The anxiety and embarrassing emotions continued to plague the Chinese economy, and the confidence in the financial market was shaken. However, under heavy pressure, China's economy has maintained strong resilience and achieved its main goal. Looking forward to 2019, the global economy will still face many challenges. The global economic momentum has weakened, and the next two to three years will slow down, and the big country game will become the norm. The contradictions accumulated in the early stage of the country have eased, but they will not disappear in the short term. Periodic and structural problems are still exerting pressure on the economy. Under the unfavorable factors such as population structure and household balance sheet, China's real estate investment may start a new round of adjustment process, which will drive down the economic growth rate. We should keep a clear bottom line thinking and do a good job of risk prevention for better results. Equity market:It will be easier to draw in the interval and structure. In the first half of the year, the opportunity to capture the interval band was cautious, and the structure focused on defensive counterattack. A more aggressive strategy can be adopted in the second half of the year. Bond Market:Treasury yields or the bond bull market continued after the adjustment in the first quarter, breaking 3% in the second quarter. The risks and opportunities of credit bonds coexist. We are optimistic about follow-up policies to reduce credit spreads. real estate market:First- and second-tier cities still have fundamental support, and investors should avoid third- and fourth-tier cities in non-urban circles. the Rainbow comes after the storm? I wish the Chinese capital market achieved outstanding achievements in the system construction in 2019! I also wish you all the investors Changhong in 2019! In 2019, with the establishment of the science and technology board and the implementation of the registration system reform pilot, China's capital market reform and innovation entered a new era. The ability of the capital market to serve the real economy, especially the service science and technology, led the development of high quality. The role of modern elements such as talent, technology, information, property rights and business models in the capital market has rapidly increased. China has formed a high-tech development capital market system with venture capital funds, private equity investment funds, industrial investment funds, local equity trading markets, national small and medium-sized enterprise equity trading markets, science and technology boards and the GEM. In 2019, China's capital market reform and opening up will be further deepened, in line with the overall goal of the government's "distribution of services" reform. Gradually relax the capital market entrance, increase post-event supervision, increase the elimination mechanism; further improve the information disclosure system; form a regulatory system that combines legal supervision, administrative supervision, self-regulation and social supervision, and further integrates with the international capital market system. The function of China's capital market to serve the optimization of residents' wealth structure has been further enhanced. The wealth structure of residents is undergoing profound changes. The demand for equity investment and long-term bond investment is further enhanced. The socialization of capital and the increase of the proportion of equity investment in residents are highly consistent. China's capital market is committed to creating a better market environment for long-term equity investment of residents. China's capital market will further enhance the attractiveness of global capital. China's capital market ranks second in the world, and its development space is large: long-term investment yield is higher than the global average, and corporate growth is good. In particular, due to the long-term stability of China's economic and social environment, the attractiveness of global capital will be further enhanced under the current uncertainties in the global economic and financial markets. In 2019, China's capital market has a solid foundation for stable and healthy development. Looking forward to 2019, hedging will be the biggest theme of the domestic macro economy. On the one hand, under the superimposed resonance of external and internal worries, the downward pressure on the economy this year cannot be ignored. From the outside, even if there is no trade war disturbance, global kinetic energy has entered the downward channel. If the trade war is added, the slowdown in external demand will become more apparent. From the domestic perspective, the lag effect of the previous de-leverage on the economy will be further reflected. In addition, the stagnation and monetization stimulus policies will be withdrawn, and the domestic demand momentum will also be weak. On the other hand, in order to hedge the downward pressure on the economy, the counter-cyclical adjustment policy is bound to increase its efforts. Among them, the fiscal policy is more active, and the expansion of special debts under the “open front door and block back door” may be the biggest point, but the budget deficit rate may be difficult to break 3%. Monetary policy adheres to a stable and partial easing, and may shift from structural “drip irrigation” to moderate expansion of the total amount. There is a certain possibility that the interest rate will be lowered. Supply-side constraints will also marginal relaxation, making manufacturing investment have certain resilience, and real estate regulation and control also has the possibility of adjustment due to urban policies. The Chinese economy has transformed from high growth to high-quality growth, and it is unrealistic to continue to expect high growth rates for GDP. In the bottom-line thinking framework for preventing major risks, it is unreasonable to flood the floods, completely relax the real estate, and raise the debt ceiling. For investors, accepting a moderate decline in economic growth is the only rational choice. In 2019, the challenges facing the Chinese economy may exceed 2018. First, the US economy may enter a recession in the second half of 2019, causing global demand to shrink. Second, residents' mortgage pressure on housing mortgages gradually restricts consumption. Third, the fiscal expenditure gaps such as “eat”, “security” and “social security” limit the total scale of government infrastructure investment. However, possible reconciliation between Sino-US trade negotiations, opening up reforms, bringing huge institutional dividends and boosting the valuation of capital markets. The opening of a large number of industries, including the capital market, is about to bring about huge institutional changes. First, the science and technology board promotes a new market-oriented experimental field for A-shares, and a series of delisting systems for issuing transactions will bring a healthier and more dynamic capital market. Second, the deep opening of A-shares has boosted the weight of its global indices such as MSCI. More and more international capital flows into the domestic capital market. Third, many industries have broken the monopoly, protected intellectual property rights, and promoted the rapid growth of domestic enterprises, especially the private economy. Over the past four decades, reform and opening up have shaped a large number of internationally competitive industries, such as home appliance engineering machinery. In short, the opportunities in the capital market have increased significantly in 2019, although the index may not necessarily rise as a whole. But structural opportunities will bring benefits to investors. In 2019, China's economy still needs to face many challenges: the external environment is still complicated, and the uncertainty of trade friction will still be the biggest uncertainty affecting China's economic and financial markets; while internal economic growth continues to fall, exports and The downside of investment growth may become the two main factors dragging down the economy. In this context, monetary policy will continue the loose tone of 2018, and the RRR cut will be an option; fiscal policy will be more active, tax cuts and incremental increases, and the focus will be on increasing spending. However, in the medium and long term, it is more important to improve economic growth efficiency through real structural reforms, including: ownership reform, land transfer reform, the opening of the service sector to private capital, and the reform of the fiscal and taxation system of central and local financial power. In the first half of 2019, the stock market may still be in the process of shocking the bottom. To push the market out of the bottom game, the government needs to introduce appropriate policies to boost market confidence: First, moderate macroeconomic regulation and control policies, but avoid back. To the strong old road; second, the introduction of structural reform measures. As far as the current market is concerned, some blue chip stocks with sufficient decline in valuation, high industry position and high dividend yield have already had the value of fixed investment. The bond market experienced two days of ice and fire in 2018: interest rate bonds were favored by institutions, and credit bonds defaulted frequently. This pattern of differentiation is likely to continue in 2019: under the background of the nominal economic growth rate, interest rate bonds are still sought after, and high-risk credit bonds may continue to “explode”. In particular, we should be wary of small and medium-sized local financing platforms and small and medium-sized real estate developers. Bonds. From the fundamental point of view, the RMB exchange rate still faces certain depreciation pressure. The main reason is that the Sino-US spread will be further narrowed. The key to the RMB exchange rate trend in 2019 depends on whether the central bank is willing to intervene and how to intervene. There are two scenarios: the RMB exchange rate may be repeatedly consolidating after breaking 7 or narrowly consolidating between 6.6-7. The real estate market will continue to differentiate. Considering the decline in the scale of the shed, the large leverage of the residents, and the outflow of the population, housing prices in the third and fourth tier cities will face increasing downward pressure in the future. The housing prices in first-tier cities are subject to large uncertainties due to the serious imbalance between supply and demand: regulation and relaxation may lead to skyrocketing, and the introduction of long-term mechanisms may lead to a sharp decline; therefore, in 2019, the probability is maintained to maintain the current situation to prevent housing prices from rising and falling. Resigning from the old and welcoming the new year, the Year of the Pig is good, and I welcome the readers of the Securities Times to celebrate the year of 2019. In 2018, from the distribution of profit and loss of large-scale assets, according to Deutsche Bank's statistics, if the amount of assets with negative annual income is more than 90% in dollar terms, it is the worst since statistics in 1901, and even exceeds the 1929 Great Depression. . In 2018, it is destined to be remembered by history. In 2018, it was the 40th anniversary of reform and opening up. In 2019, it is the 70th anniversary of the founding of New China. Bless China! The chief of the five major brokerages: When will the A-share turning point come?